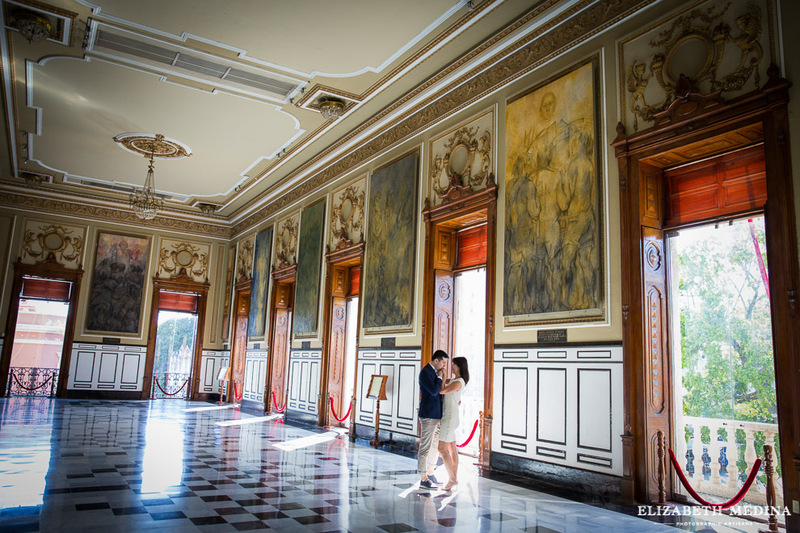 Like many of the couples we photograph, Elaine and Miguel planned their wedding from afar. 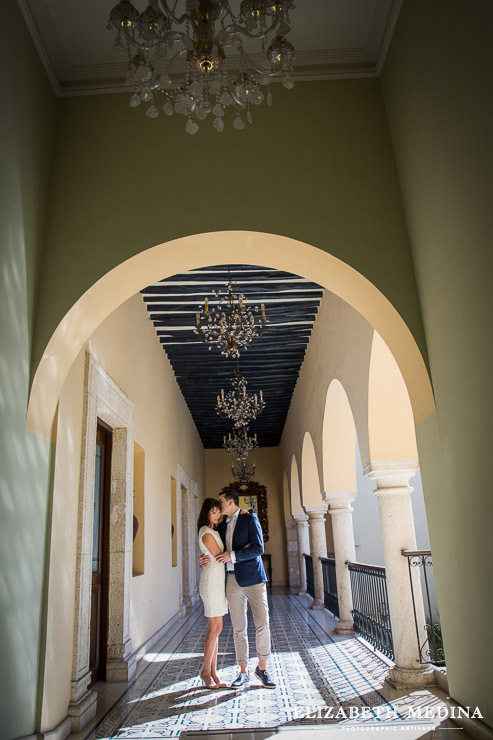 Researching the destination to bring together a large, far flung group of family and friends, this New York City couple choose two of Mexico’s most outstanding venues, Hacienda Tekik de Regil and the Quinta Montes Molina to host the weekend’s events. 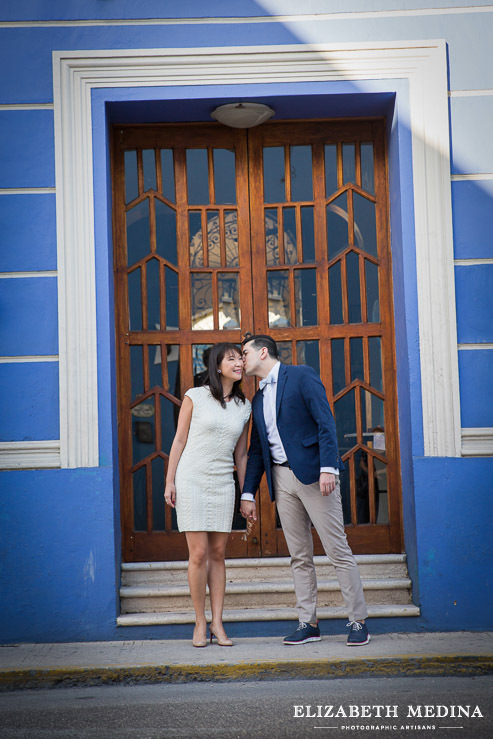 That choice made wedding preparations began and when the couple, in company of their wedding planner Maria Bejarano, travelled to Merida for the site inspection, invitations had already been sent and the guests had made travel arrangements. 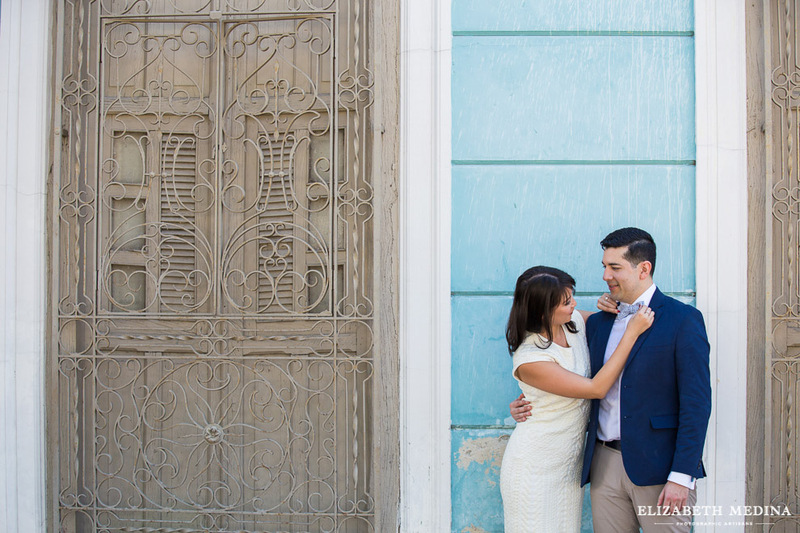 Having been brought on board as Merida photographers early in the planning process, we were delighted to be able to spend a morning exploring the city with Elaine and Miguel. 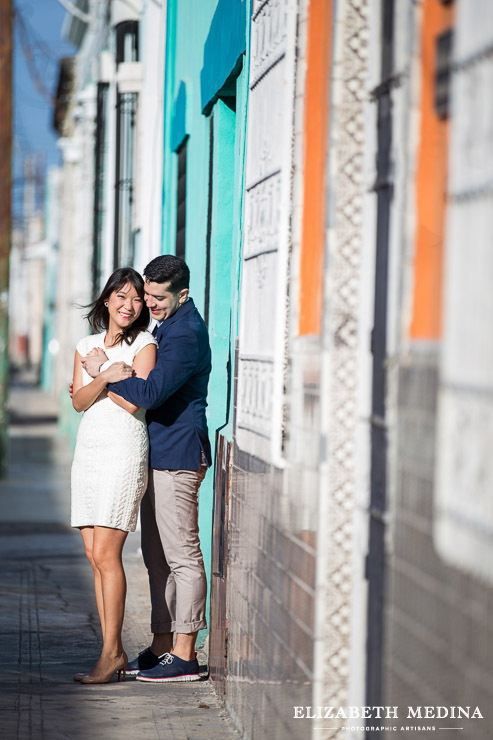 Part photos session, part city tour, and part big reveal, all in all it was a memorable morning with a fantastic couple. 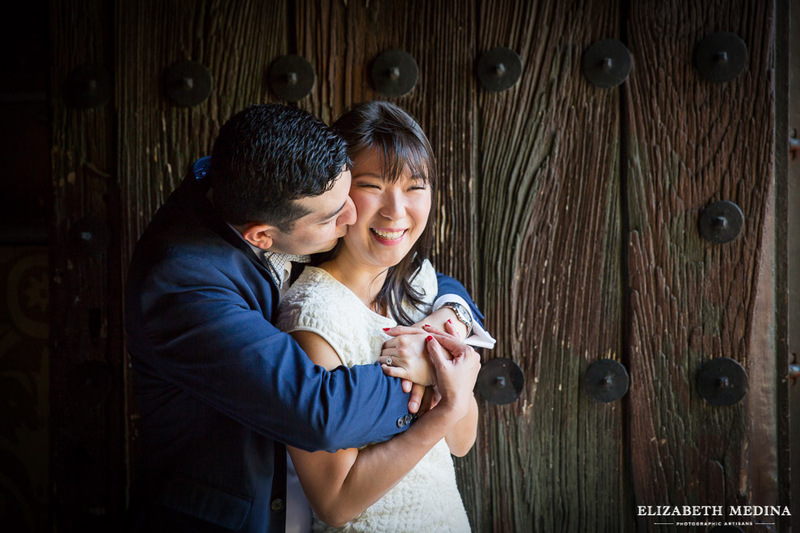 I can’t wait for the wedding in just a few weeks! 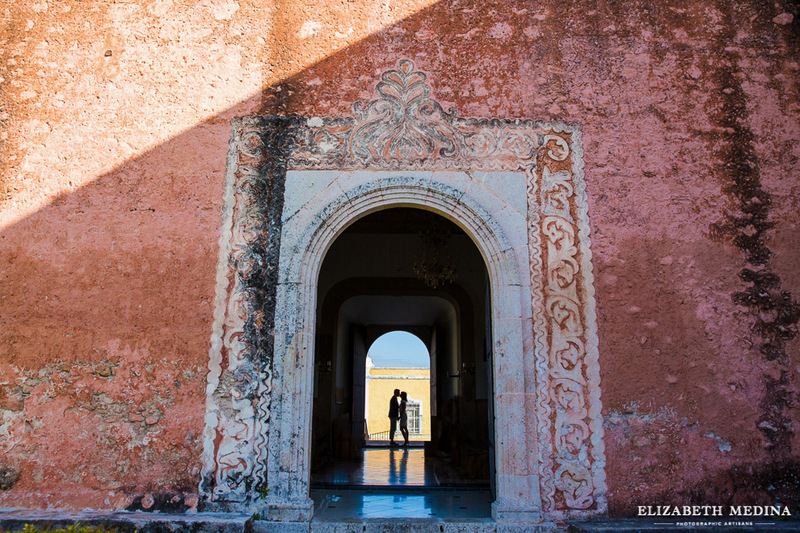 Merida photographer Elizabeth Medina Photography, destination wedding photography in Yucatan, Mexico. 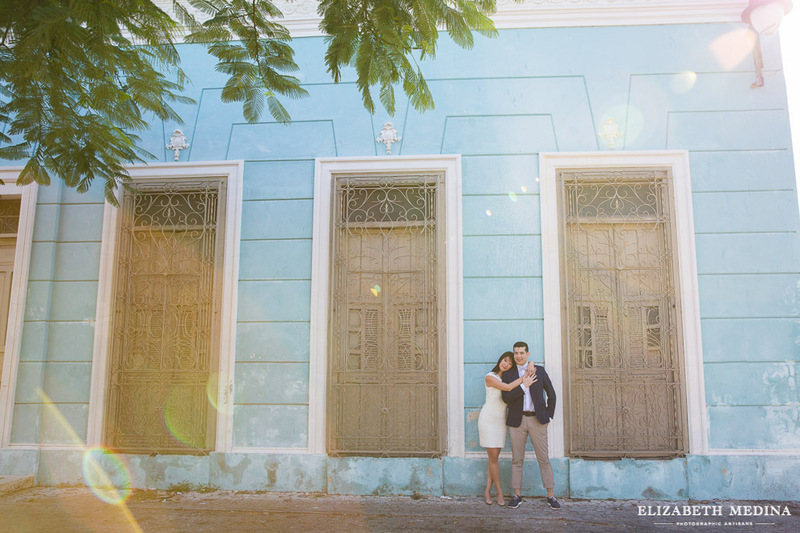 Fotografia de boda en Merida Yucatan, Mexico. 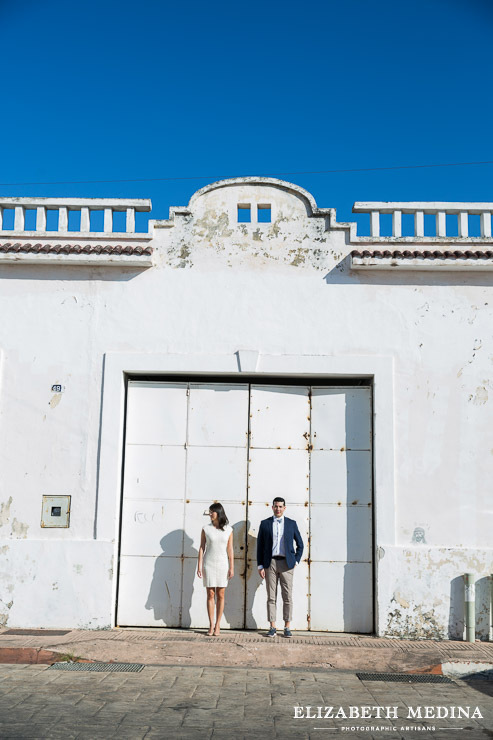 Bodas de destino, fotografias, esession.